Jim’s Transmission Repair and Service of Sioux Falls! BIG Transmission problem or MINOR repair? It takes an EXPERT to know! Over HALF the transmissions we see at Jim's National Transmission do not actually NEED a major transmission repair or replacement! Often times what feels like a MAJOR problem can in fact come down to minor electrical components and even engine performance. This is why accurate diagnostics performed by qualified transmission technicians are the first and most important start. The most expensive transmission is the one you do not need! 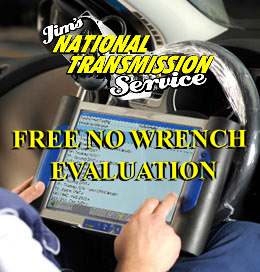 At Jim's National Transmission we offer a FREE no wrench evaluation that includes road test and basic computer scan to get an assessment of what direction we need to go. At that point we can set a plan in motion. Minor repair, major rebuild, exchange or engine performance or related components we can handle them all. 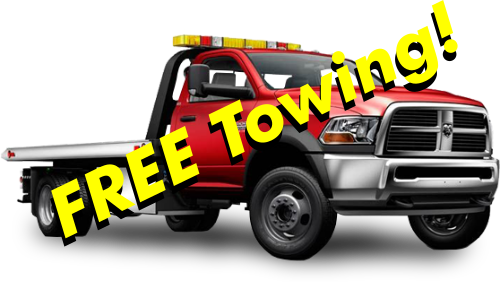 Call Today for a FREE NO WRENCH evaluation! There are many general automotive shops that are willing to take a look at your transmission. Diagnostics by a professional transmission repair facility vs general automotive is always the best option. Auto repair is mostly comprised of specialist’s. Brakes, tires, exhaust, diesel etc. There is a reason for specialists. Transmissions’ in today's modern era are not only computer controlled and electronically operated but they are in fact driver adaptive. Meaning the on board computer system adapts to how you drive. It adjusts shifting patterns, timing and quality based on data input. It takes an expert to diagnose these types of issues and recommend proper repairs. We at Jim’s National are the experts. Our knowledgeable transmission repair staff will be here every step of the way. We will answer any questions you may have and address all of your concerns. We would love the opportunity to earn your business. Jim's has earned an unmatched reputation for fairness, honesty and integrity. Proudly serving the Sioux Falls area. 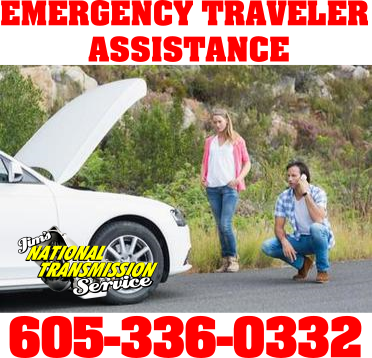 We provide quality and honest transmission repair service at a fair price and unmatched warranty. Big Transmission problem or minor adjustment? It takes an expert to know! 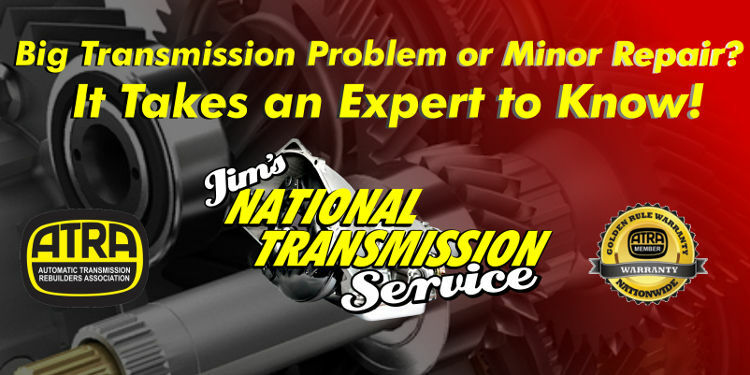 Call Jim's National Transmission Repair and Service today!